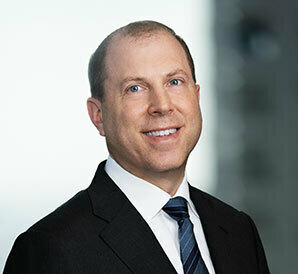 Brett concentrates his practice on commercial real estate transactions. Brett's real estate practice contains significant involvement with publicly traded real estate investment trusts (REITs), investment advisors, and institutional lenders. His practice places particular emphasis on the acquisition, development and disposition of office, industrial, retail, and multi-family assets, sale-leaseback transactions, tax-free exchanges, build-to-suit projects and leasing of commercial projects. He also has significant experience with the formation of joint ventures that combine developers and other real estate professionals with institutional partners. Serve as outside counsel in connection with real estate acquisitions and dispositions, joint ventures, financing transactions, and asset management matters. Serve as outside counsel to Westcore Properties in connection with its real estate acquisition and disposition transactions. Counsel with respect to the U.S. operations of Sonova Holding AG, an international provider of hearing instruments. Represent the client in various areas of the law, including corporate, litigation, and employment matters. Serve as outside counsel to First Industrial in connection with its real estate acquisition, development, disposition and leasing matters. "The Court Upholds a State Law Prohibiting Physician-Assisted Suicide,"